Publisher: Thomson Reuters Aranzadi. 94 pages. Publisher: Centro de Estudios Políticos y Constitucionales. 180 pages. Publisher: Pontifical University of Comillas, Madrid (ICADE). Law Faculty. Clyde & Co is a global law firm with over 1,300 lawyers operating from 27 offices and associated offices in five continents. 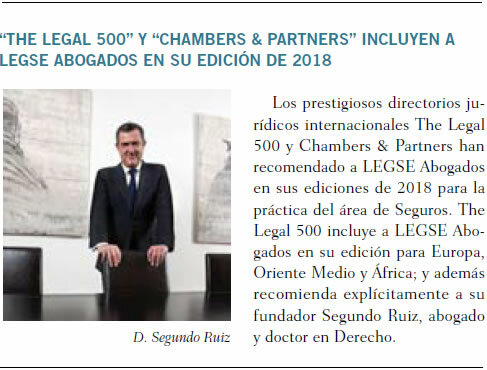 In Spain, CLYDE&CO and LEGSE-FIDES Abogados work together on a number of issues. As an example of this collaboration, please find attached a book titled “Insurance Transfers in Europe”. The chapter related to Spain has been written by LEGSE-FIDES, as it is mentioned in the same book. This book was conceived as a high level guide to the portfolio transfer processes in a number of EEA states, with the objective of giving a broad outline of their scope and effect, and their main requirements. 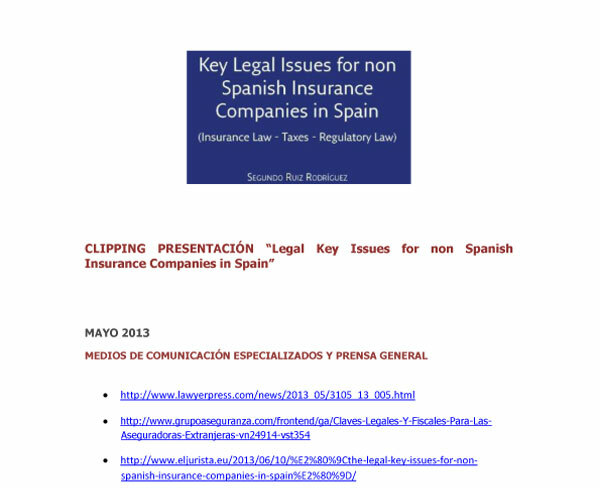 Publisher: Revista de Derecho de los Seguros Privados (Private Insurance Law Review). Publisher: INESE, on “Responsabilidad Civil, Circulación y Seguro, en los Cuadernos Jurídicos del Seguro Review”, 2nd year- N. 1. Publisher: EPOCA weekly magazine about his book “La teoría del derecho de autodeterminación de los pueblos”. “Day by day”, Summer Course. Complutense University of Madrid. August the 10th of 1999. “Review published in the Revista Internacional de Estudios Vascos, núm. 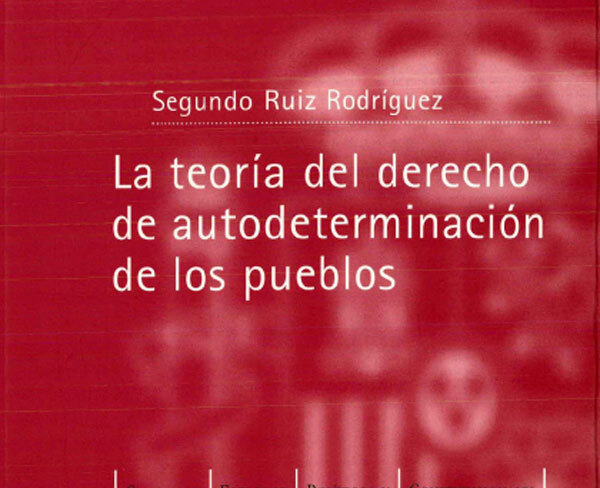 46, 2001 about the book written by Segundo Ruiz and titled “The Theory of the right of the self-determination of peoples”. Review published in ACEPRENSA about the book written by Segundo Ruiz and titled “The Theory of the right of the self-determination of peoples”. An article published in the magazine El Economista. Interview published, on July, 23rd 2013. 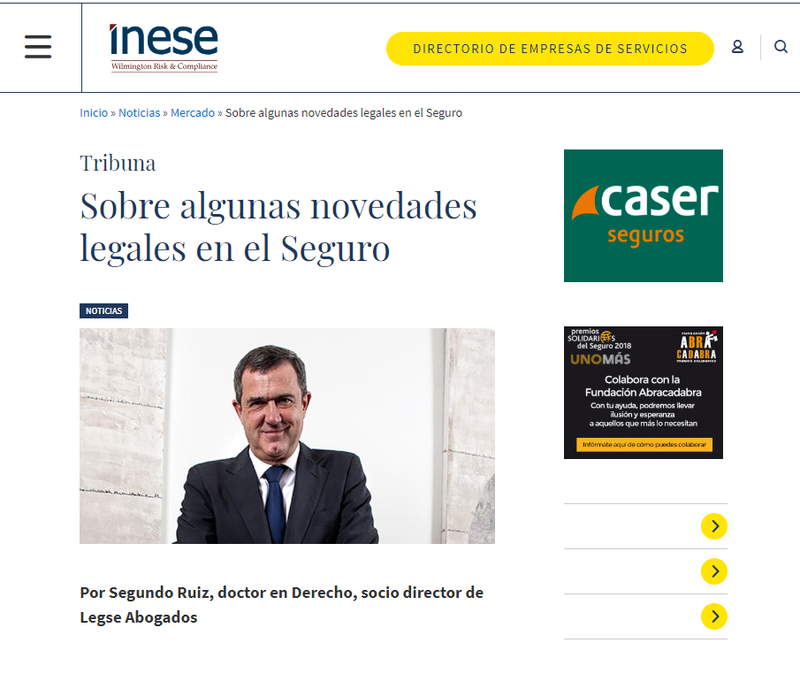 An article published in “BDS Boletín Diario de Seguros“. Interview published in BDS, Boletín Diario de Seguros. An article published in the newspaper Cinco Días. An article published in the newspaper Expansión. 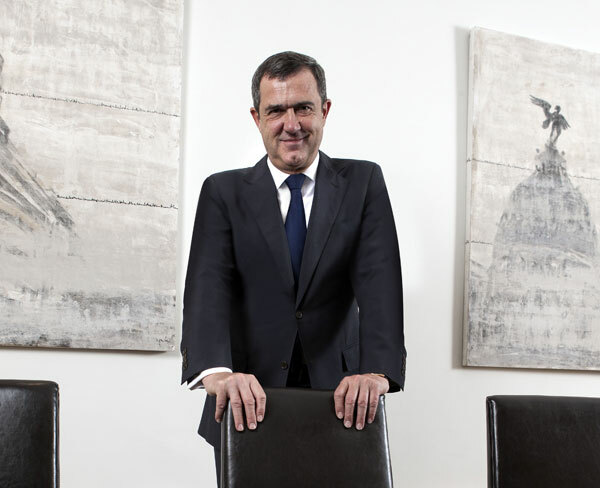 An interview to Segundo Ruiz published in the daily newspaper Diario La Razón. An interview to Segundo Ruiz published in Diario La Razón. 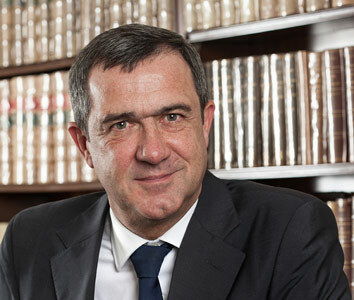 An interview with Segundo Ruiz, on the radio program of Radio Nacional “No es un día cualquiera”, hosted by Pepa Fernández, on January the 20th 2007, in relation to some legal questions, mainly in the area of Insurance Law. An article published in Actualidad Jurídica magazine. An article published in Actualidad Aseguradora journal. An article published in Revista Mía magazine. An article published in Aseguradora Internacional journal. An article published in Mercado Previsor journal. An article published in the daily newspaper El País de los Negocios. An article published in Gaceta de los Negocios newspaper. News published on ABC newspaper.